We are glad that you are taking an interest in us and hope that as you take a closer look you will find us warm, welcoming and ready to assist you in deepening your relationship with God; Father, Son and Holy Spirit. 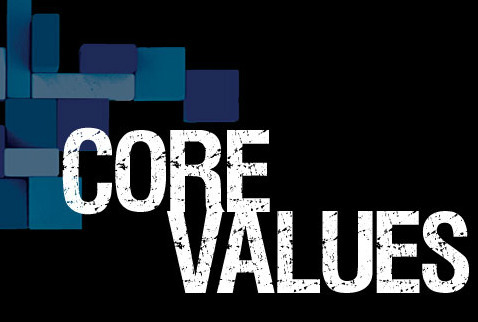 Below you will find a snap shot of the core values and priorities that we hold as a church. If you have any questions, please don’t hesitate to contact Pastor Doug or our Leadership Team through the Church Office. Expressing love to God is foundational to what we do as a church. Worship involves all aspects of our lives including what we say, how we act and how we think. In worship we acknowledge God’s presence in the world and we respond to God’s claim to love us. In worship we also discover the peace that we find in a relationship with Jesus Christ, and as we offer ourselves to God we are equipped for God’s service in the world. On Sunday mornings, we worship God during our morning service. Our desire is to use every style of music and instrument to honor our Lord Jesus Christ. Check out the I'm new page to learn more about a typical service or the Worship Service page to plan your next visit. None of us were meant to be alone. At our core is a desire to be connected to others. Through our relationships with members in our community we draw strength, encouragement, knowledge and joy. We believe that establishing, maintaining and deepening our relationships with one another is very important. Our goal is to always be a welcoming congregation to people who have gone to church for 50 years or are walking through the doors for the very first time. To grow in faith requires commitment, time and practice. When a person goes to church, some part of them is likely saying, "I have questions and I want answers. I want to grow spiritually and I desire to acquire the skills necessary grow, learn and help others." We greatly value critical thinking and the challenge in seeking to understand better matters of faith. Through the sermons, growth group discussions and spending time together we experience life-changing education. Every team has a roster. Every school has an enrollment. Every army has an enlistment. As you get to know us, our hope is that you will feel comfortable and decide to make Wayne Presbyterian your church home. If you do, you will find plenty of places to plug in and use your God-given talents. Understanding how to use the skills and abilities unique to you is part of the growing process. The goal is to figure out where God can use you most. God has a place for you, let Him lead you and be amazed at what you will discover. We believe in serving others with our time, talents, gifts and resources. We strive daily to have the heart of a servant as was modeled for us by Jesus Christ. Jesus always seemed to have his eyes looking outward, searching for the hurting, needy, poor and oppressed who were around him. Likewise, we strive to reach outside the doors of the church to care for the people Jesus cared about. As followers of Jesus, we long to share our story of "why Jesus is important to me," and hopefully in sharing our stories, we will introduce people to the Jesus we have come to know and love.